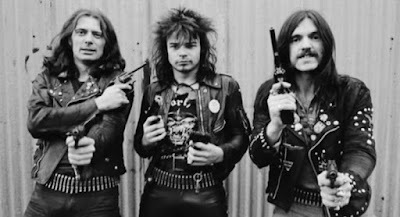 Former Motorhead guitarist "Fast" Eddie Clarke has explained his absence from Lemmy Kilmister funeral. He said: "I have been a bit quiet lately...I was unable to get a visa to go to Lemmy's funeral. I have past sins, which means it takes longer for me to get a visa and with being Christmas, there wasn't enough time...I watched it online last night. I thought everyone did very well. Todd Singerman did an amazing job as compere. I thought Lemmy's son, Paul, spoke magnificently and Mikkey Dee followed up well. It all reminded me of what a great man Lemmy was and how much he lived for his music and Motorhead and the fans. It was great to see the picture of the old band with Phil in the middle. They were great days and I miss them both. I hope you all enjoyed it as much as I did. It was very sad but the message got across about the great man."